The Tony Award-winning actress Linda Lavin will return to the Vineyard Theatre (108 E. 15 St.) – where she created the role of Rita Lyons in Nicky Silver’s acclaimed comedy THE LYONS in 2012 – in Mr. Silver’s newest work, TOO MUCH SUN, with previews set to begin May 1, 2014 prior to an official opening on May 20. Mark Brokaw, who directed THE LYONS – including the play’s recent celebrated debut in London – directs TOO MUCH SUN. Nominated for her 6th Tony Award when the Vineyard Theatre production of THE LYONS moved to Broadway, Ms. Lavin returns to the stage having completed her first season in the NBC sitcom SEAN SAVES THE WORLD starring Sean Hayes. In TOO MUCH SUN, Audrey Langham (Ms. Lavin) – a celebrated actress – unravels completely while preparing for a new production of MEDEA. With nowhere else to go, she descends upon her married daughter for a summer by the sea. She is not, however, greeted with confetti and champagne. Her arrival sets off a chain of events alternately hilarious and harrowing. This stirring story of an unforgettable summer reunites playwright Nicky Silver and director Mark Brokaw following their acclaimed collaboration on THE LYONS. 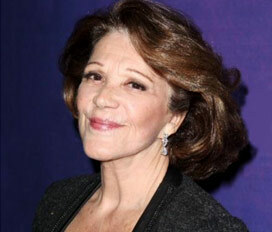 Linda Lavin won the Tony Award for Leading Actress in a Play for Neil Simon’s BROADWAY BOUND. She has been nominated for the Tony on five other occasions: LAST OF THE RED HOT LOVERS, THE DIARY OF Anne Frank, THE TALE OF THE ALLERGIST’S WIFE, COLLECTED STORIES and THE LYONS. A frequent star on Broadway since the 1960’s, her numerous roles include in GYPSY, IT’S A BIRD…IT’S A PLANE…IT’S SUPERMAN, THE SISTERS ROSENSWEIG and HOLLYWOOD ARMS. Her many Off-Broadway appearances include OTHER DESERT CITIES and LITTLE MURDERS, and she performed in the Kennedy Center production of FOLLIES. She has won two Drama Desk Awards and two Obies. Widely-known as the star of the long-running television hit ALICE – for which she was nominated for three Golden Globe Awards, winning twice – Ms. Lavin’s other television roles include on BARNEY MILLER, CONRAD BLOOM, ROOM FOR TWO, THE O.C. and THE SOPRANOS. Her many film credits include A SHORT HISTORY OF DECAY, THE BACK-UP PLAN, THE RING, SEE YOU IN THE MORNING and A PLACE TO CALL HOME. A celebrated singer and concert artist, she released her first solo album POSSIBILITIES (Ghostlight Records) in 2012, with musical director Billy Stritch and a jazz band including her husband, drummer Steve Bakunas. Linda and Steve enjoy a wonderful life, which includes their dog Micky. Nicky Silver (Playwright). Mr. Silver’s previous Vineyard premieres include PTERODACTYLS, RAISED IN CAPTIVITY, THE EROS TRILOGY, THE MAIDEN’S PRAYER, THE ALTRUISTS, BEAUTIFUL CHILD, MY MARRIAGE TO Ernest Borgnine, THE AGONY AND THE AGONY, and, most recently, THE LYONS, which transferred to Broadway and debuted this fall in London. His other notable plays include THREE CHANGES, THE FOOD CHAIN, FAT MEN IN SKIRTS, FIT TO BE TIED, FREE WILL AND WANTON LUST. He also wrote the new book for the Broadway revival of the Rodgers and Hart musical, THE BOYS FROM SYRACUSE. Mark Brokaw (Director). Mark’s directing credits at The Vineyard include THE LYONS (also on Broadway), the Pulitzer Prize-winning production of HOW I LEARNED TO DRIVE (Drama Desk, OBIE and Lucille Lortel Awards for Best Director) and THE DYING GAUL. His other Broadway directing credits include the musicals RODGERS + HAMMERSTEIN’S CINDERELLA and CRY BABY, along with the plays THE CONSTANT WIFE, RECKLESS and AFTER MISS JULIE. Other credits: the musicals A LITTLE NIGHT MUSIC (Kennedy Center), MARTY (Huntington Theatre), and OUT OF THIS WORLD (Encores! ), as well as the Off-Broadway productions of AS BEES IN HONEY DROWN, LOBBY HERO and THIS IS OUR YOUTH. He is the Artistic Director of the Yale Institute for Music Theatre. 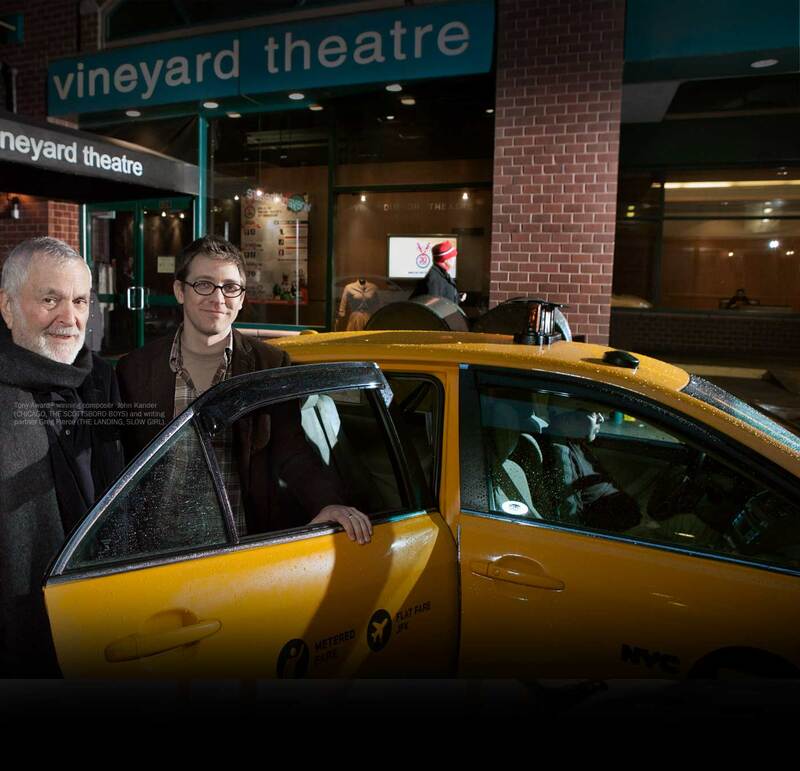 Vineyard Theatre is one of the nation’s leading non-profit theatre companies now in its 31st year. Dedicated to the creation and production of daring new plays and musicals, The Vineyard has consistently premiered provocative, groundbreaking works, including Nicky Silver’s THE LYONS; Marx, Lopez and Whitty’s Tony Award-winning musical AVENUE Q; Kander and Ebb’s THE SCOTTSBORO BOYS; Bell and Bowen’s [title of show]; Paula Vogel’s HOW I LEARNED TO DRIVE (1998 Pulitzer Prize); Edward Albee’s THREE TALL WOMEN (1994 Pulitzer Prize); Tarell Alvin McCraney’s WIG OUT! ; Will Eno’s MIDDLETOWN and many more. TheVineyard’s productions have been honored with two Pulitzer Prizes, three Tony Awards and numerous Drama Desk, Obies, Outer Critics Circle and Lucille Lortel Awards. The Vineyard recently concluded its world-premiere production of the new chamber musical ARLINGTON by Victor Lodato and Polly Pen, directed by Carolyn Cantor and starring Alexandra Silber. For performance and ticket information CLICK HERE or call The Vineyard box office at 212 353 0303.